If automobile racing, held on a closed mixed-surface racing circuit, with modified production or specially built road cars is your thing, the Gumtree World Rallycross of South Africa hits Killarney International Raceway in Cape Town from 24-25 November 2018. 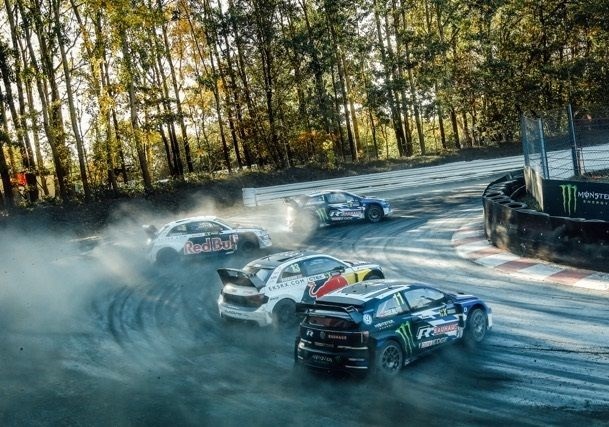 To top it off, the top 10 World Rallycross drivers will also be in action. Current World Champion, Johan Kristoffersson, the speedy Swede whose big interests are family and fitness. And Rallycross, of course. He drives a factory-developed Volkswagen Polo Supercar for Team PSRX Volkswagen Sweden, and in 2017, he drove it to 11 out of 12 finals, including a record-breaking seven victories, five of them in a row, winning the drivers’ title by a very, very large margin. Kristoffersson is currently topping the 2018 Championship Leaderboard and rates Höljes as his favourite World RX track. Mattias Ekström of EKS Audi Sport is another Swede who has made a huge impact on World RX, winning the Championship in 2016 and racking up his fair share of race wins since then. He’s been hanging round RX paddocks since he was a youngster, watching dad Bengt compete, and has also won the 2004 and 2007 DTM touring car titles. Family, food and tennis make him happy, and his biggest rival can be found staring back at him from the mirror: himself. Norwegian Petter Solberg is Kristoffersson’s racing partner in team PSRX Volkswagen Sweden. He was the first person to be crowned an FIA World Champion in two different motorsport disciplines: a World Rally Championship title in 2003, and two WRX titles in 2014 and 2015. He has, thanks to his crowd-pleasing antics, earned the nickname ‘Hollywood’, and regards drivers Colin McRae and Tommi Mäkinen as his biggest inspiration. Andreas Bakkerud is also from Norway and races alongside Ekström in the EKS Audi Sport team, driving an Audi S1 Quattro. He started karting at the age of eight and switched to Rallycross when he was fifteen. He is the only driver in WRX history to have amassed maximum points through each stage of an event weekend, which he did in 2016. He enjoys skiing and kickboxing and would, rather cleverly, take a helicopter with to a desert island. Sébastien Loeb is a legendary Frenchman, the world’s most successful rally driver who has amassed an astounding nine consecutive WRC titles and 78 wins. He’s a more recent star on the WRX circuit and races for the Peugeot Total team. He took six podiums in 2017 and considers the Lohéac track to be his favourite. A fan of rib beef and a lifelong lover of all things racing, Sébastien has seen and done it all…and won over a whole lot of fans in the process. In addition to these fantastically fast five, triathlon-running Timmy Hansen and his fun-loving brother Kevin, young upstart Niclas Grönholm, Latvian champion Janis Baumanis and experienced Russian Timur Timerzyanov make up the top ten. Fifteen other super-quick drivers will join them over this scintillating weekend, ensuring that you’re spoilt for choice when it comes to finding a favourite.